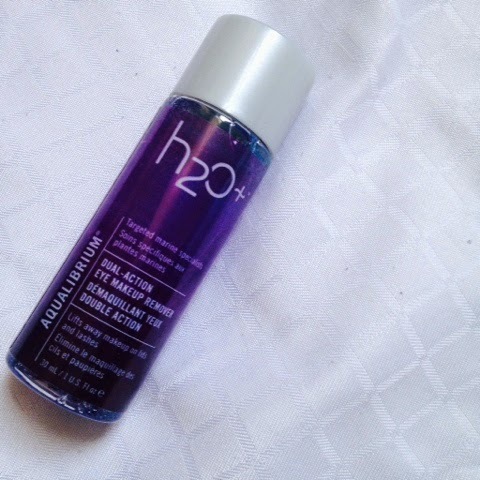 H2O Plus Aqualibrium Dual-Action Eye Makeup Remover* | Vanity and Everything in Between. Here's a photo of me with makeup on. 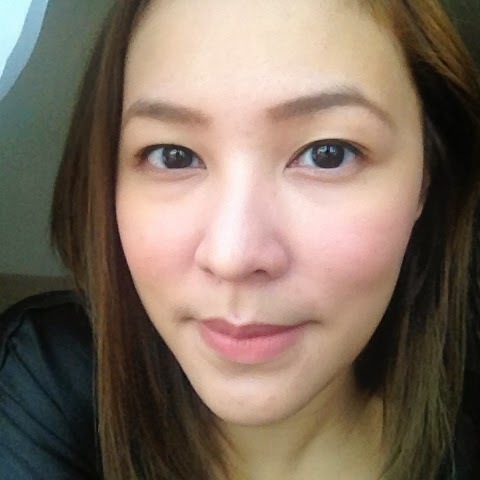 Liquid foundation, powder foundation, concealer, brow pencil, eyeliner, blush and lipstick. 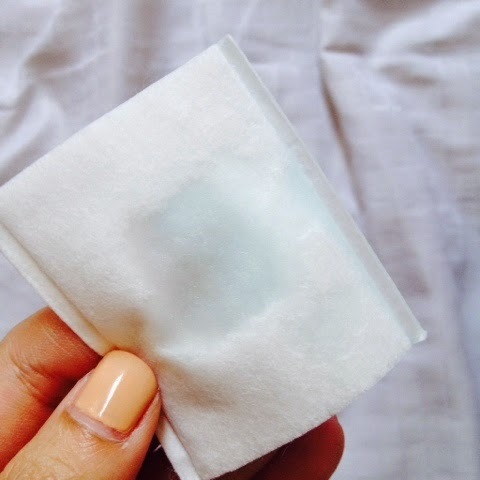 Put a few drops of the makeup remover on a cotton pad. This was around 4 drops. 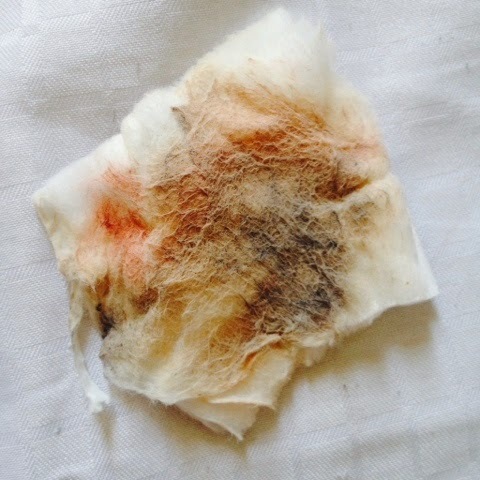 My entire makeup was removed with just 4 drops! It's amazing and you know it! H2O+ is the "science of marine skincare". 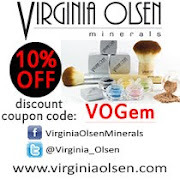 It has a sea mineral complex which substitutes for the oil as this makeup remover is oil-free. Similar to micellar water. My face feels so clean afterwards that I find it okay to not use a facial cleanser. It doesn't leave any residue and my skin feels smoother. I only got a sample size which is 30ml. The full size of this makeup remover is 120ml and priced at PhP1,330. This might come off as an expensive makeup remover and yes, it is expensive considering there are tons of options for makeup remover. However, you can go to sleep without using a facial wash after you've removed your makeup using this. That saves you time and saves you money from buying an expensive facial wash. So, all is fair in money and makeup. LOL. 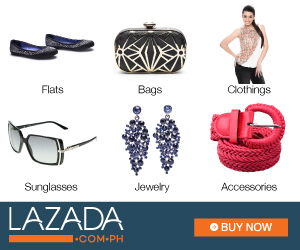 H2O+ is available at all SM Department Stores. Might be available in Landmark, too. Good product to try! I already avail vip membership from sampleroom this month. I'm using make up remover wipes if I'm extra lazy to do my routine and thats not really enough. So I'll recommend this to my sister she's a dental technician student. There are times she skipped using facial cleansers because she didn't want to get her hands wet iwas pasma daw. After a long day of doing dental stuffs. Wow! Isn't it amazing?yes it is.😁. Surely this a good product to try on. Your makeup was amazing too. Parang wala lang:) so natural! does it sting like any other eyemakeup remover ms gem? (or does it makes your vision bit blurred after use) if not this is such a great product considering the price!